Revision's sleek wrap-around Hellfly glasses set the industry standard for high-impact ballistic protection not only meeting but exceeding the military's requirements for military glasses. When it comes to something as precious as your eyesight, Revision shooting glasses offer the needed protection. 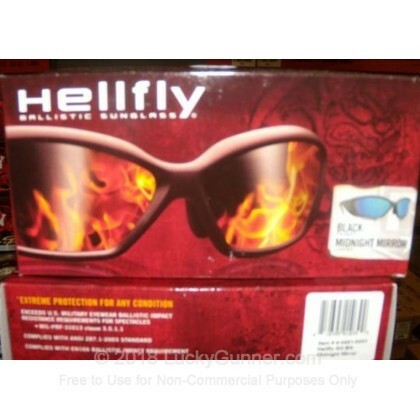 These stylish midnight mirror lenses are ideal for bright sunshine reducing glare and squinting. 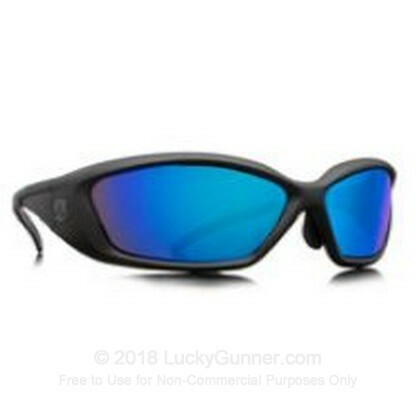 What's more, during independent testing, these glasses withstood a 12 gauge shotgun blast from 16 feet away with zero penetrations using 1-1/8 ounce #8 lead shot with zero penetrations! Revision's dedication to research and quality has helped them to produce distortion free lenses. These lenses are made of an optical grade polycarbonate with a scratch resistant coating and offer 100% protection from UV-A, UV-B, and UV-C rays. With a soft nose piece on the lens, these glasses fit comfortably weighing just 1 oz and with their overmolded temples, they stay in place. 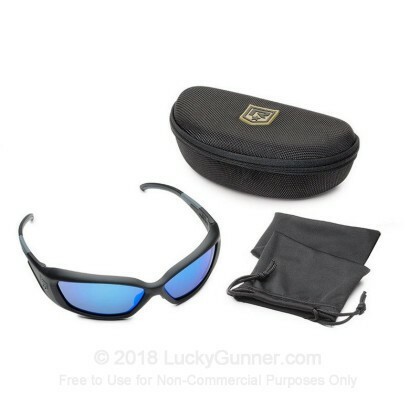 These sunglasses come with a microfiber pouch and a storage case.